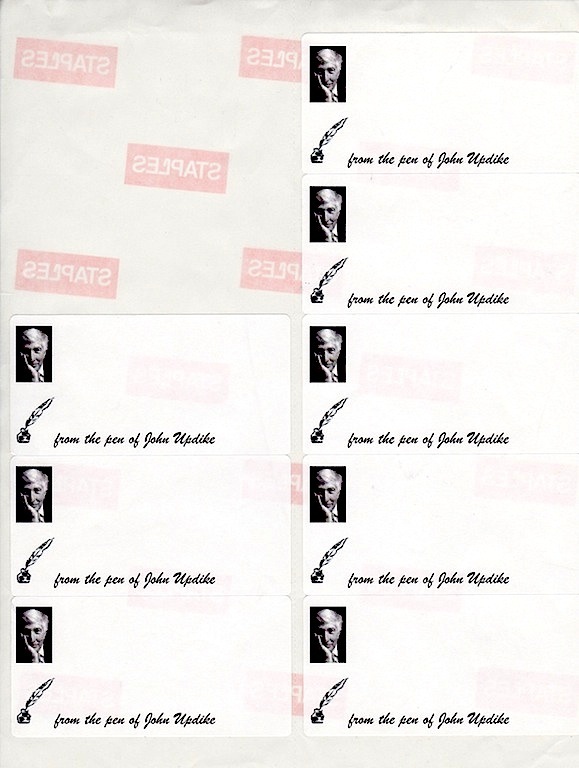 “I thought of John Updike. Surely when he dies, somebody will be rifling through his home, looking for things to sell. It was unlikely that his own children, if he had any, would sell his nail clippers, underwear or ChapStick. But certainly cousins would do this. Nieces and nephews would absolutely offer his pens, unused pads of paper, bookends for sale. Probably other things. 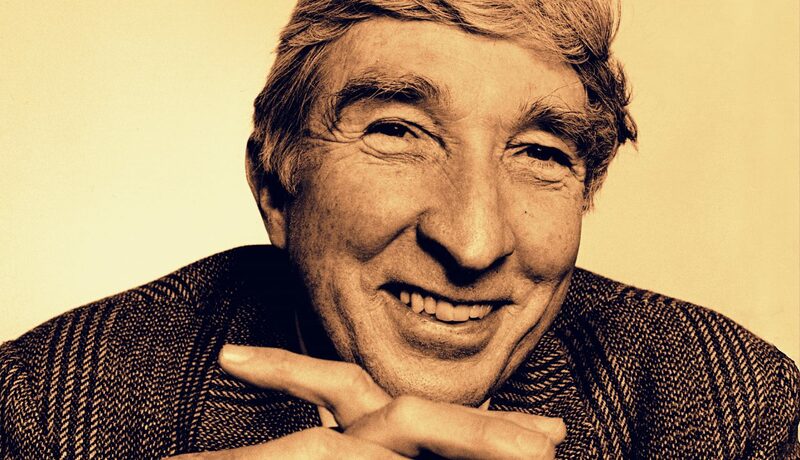 John Updike, legendary American author. For auction: Chair cushion, blue toile fabric. Cushion from desk chair, used daily by celebrated author. Distinctive impressions in pillow, from correlating anatomical features of author. Condition is described as “well enjoyed”. Cushion manufactured circa 1940. Believed to be from Sears, Roebuck & Co. This is an authentic piece of Americana, from the personal estate of one of the country’s most famous and widely read authors. Truly a unique collectable. One of a kind. Minimum bid: $3,500. Sometime in the ’90’s a guy walked into my regular bar. It was a quiet day in a usually busy place that was at times my second home. It is called In A Pigs Eye in Salem MA. He sat down at the bar and ordered a drink. This afternoon we were the only two customers in the place. Last month, Christie’s South Kensington held “Out of the Ordinary,” a sale of items deemed either “visually striking or with an intriguing story to tell.” Among its 153 lots, curated from about 1,000 offered to Christie’s, were a set of eight paintbrushes used by the British figurative painter Francis Bacon in 1969, a bronze death mask of Napoleon, and a slice of fruit cake preserved in cellophane, but inedible, from Queen Elizabeth II’s 1947 wedding, in a presentation box.